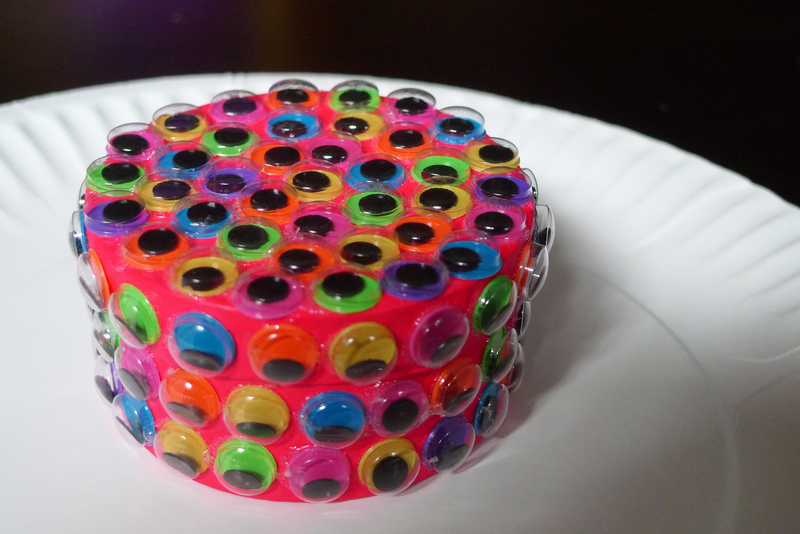 After being so inspired by Yayoi Kusama’s “The Obliteration Room” I was determined to come up with some type of bizarro, yet cool craft project to pay homage to her amazing polka dot themed works of art. 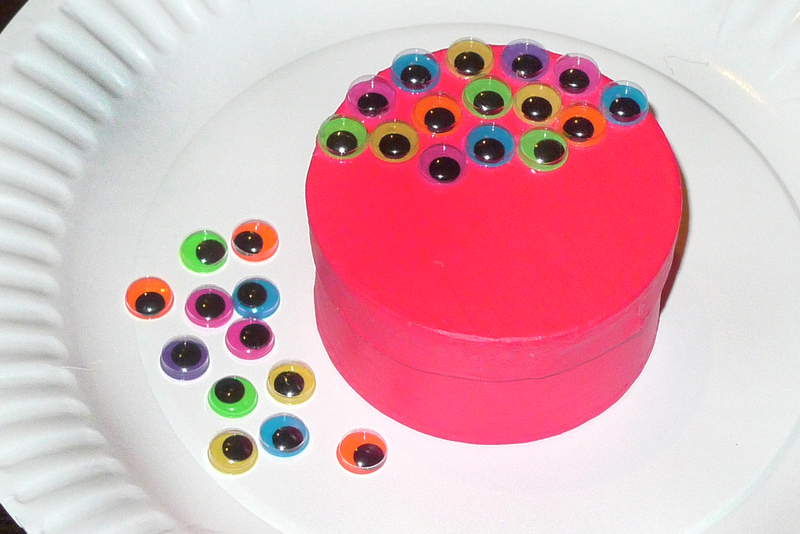 I had been dying to use these crazy colored googly eyes for a while now, and then it hit me that they kinda look like the stickers used to create the Obliteration Room! Minus the eyeballs of course. 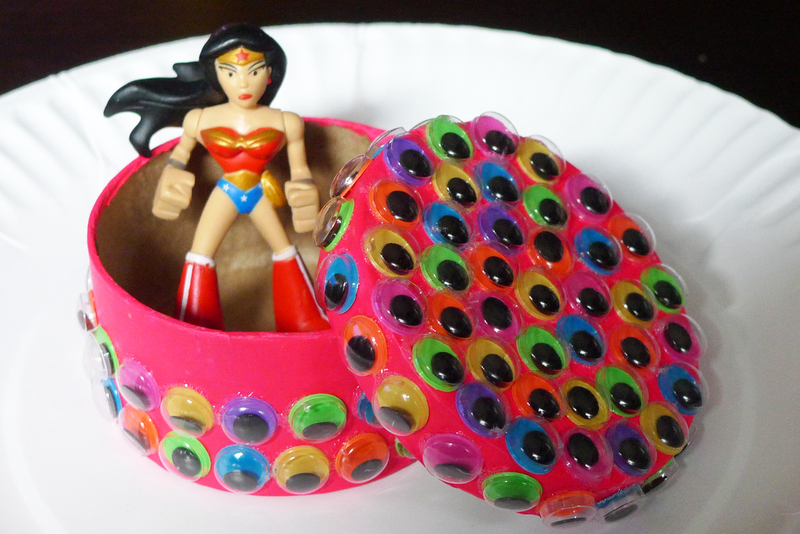 This trinket box is not only the perfect little vessel to store your kids hair accessories or first lock of hair in. It promises to always stare at you lovingly from any angle of the room. 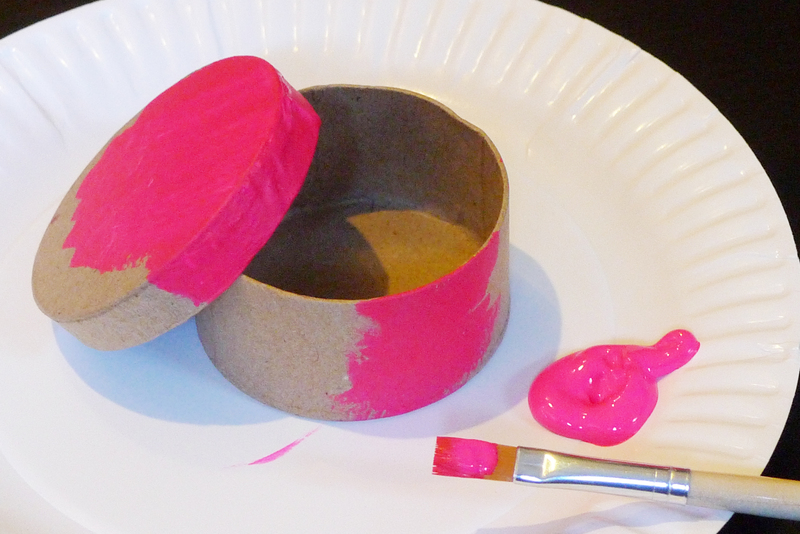 Paint the lid and outer area of the box. You don’t necessarily have to use hot pink. Just make sure to pick a color that coordinates with one of the colors of your googly eyes. Once the paint is completely dry start glueing on the eyes. 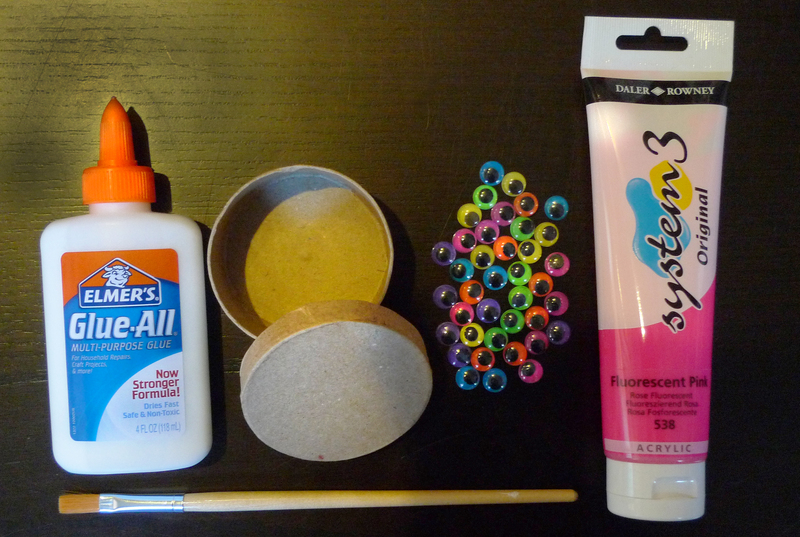 Keep the lid tightly on the box when you glue the googly eyes to the bottom half of the box.